It must have been in 2006 when I was in the midst of a yoga pose and began to shake with unexpected laughter. 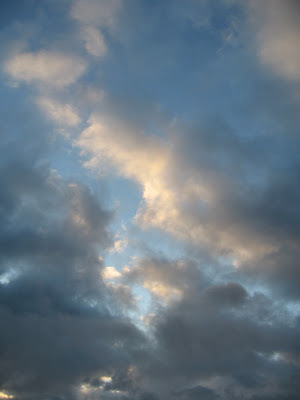 With the war in Iraq far from over, my inner war was showing the first signs of a true end. 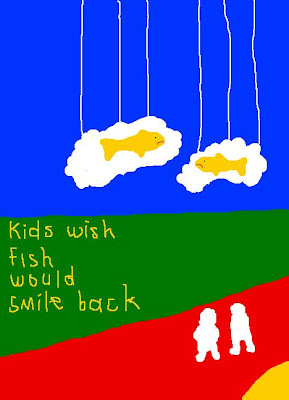 Kids wish fish would smile back. Oh, this went very deep for me. Poignant, sad. This simple statement and imagery captures an essence I've encountered when working with children in therapy. It holds for adults too. And it's interesting to me that I had to keep going back to check if your word was "could" or "would". Very different implications of meaning indeed. Thanks for this. I loved it. Dale, Solitary Walker and Wendy -- Thanks for stopping by!